He fans of Ripple xrp token, ripple x-rapid, and the xrp rich list will be excited to know that ripple payments through partner cryptocurrency exchange Bitstamp has been approved by regulators in New York, United States. Positive xrp news like this is often a fundamental sign to better ripple xrp price and optimistic xrp price prediction 2019. The New York State Department of Financial Services (NYDFS) recently granted an operating license to Bitstamp exchange has an important partnership with Ripple payment. The license allows Bitstamp to offer cryptocurrency services in New York. A major aspect of these services is payments facilitated by x-Rapid which uses Ripple XRP token. Bitstamp’s license from New York DFS means a lot to the xrp rich list and the entire ripple xrp community because of the special relationship the exchange has with ripple xrapid adoption. 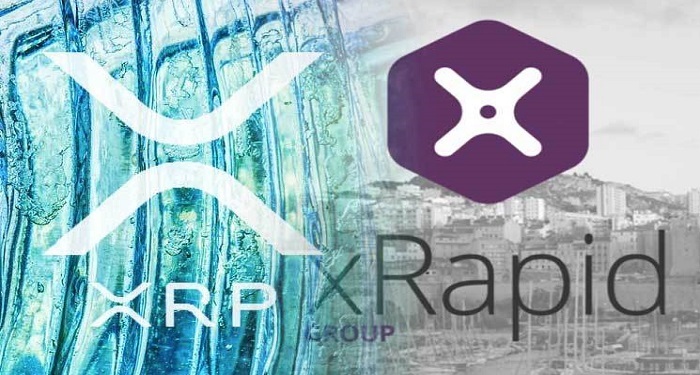 Following their partnership, Brad Garlinghouse, the CEO of Ripple payment network and xrapid mentioned Bitstamp as one of four major exchanges that will drive the volume of xrapid transactions which uses the xrp token. Xrapid is a payment protocol launched by Ripple which facilitates cross border transactions between banks using XRP tokens for settlement. The exchanges which include Bitstamp, Bittrex, Coins.ph and Bitso and will accept fiat from banks and financial institutions, convert it to XRP and transfer it abroad, where it is then instantly converted back to fiat. BitStamp Bitlicense to boost ripple xrp price? “Bitstamp USA is also authorized to facilitate transfers of funds onto the Ripple Network, issuing Ripple Balances in USD, other virtual currencies, and select fiat currencies, including the Australian Dollar, British Pound, Euro, Swiss Franc, and Japanese Yen,” the exchange wrote in its statement. The New York financial regulator is notorious for the strictness of the bitlicense and how difficult it is to obtain. The Xrp rich list and digital asset investors who bet on ripple xrp will hope that the license and use of ripple x-rapid in he state through Bitstamp will drive adoption of xrapid which will in turn raise demand for xrp and hopefully boost the ripple xrp price. At the time of writing, ripple xrp to usd is at $0.324 slightly down from price yesterday. The market cap is 13.56 billion as the coin stays at 3rd on coinmarketcap rankings. Ripple xrp still has a regulatory conundrum in the United States as many cryptocurrency enthusiasts don’t know for sure if xrp token is a security token or not. This is as the Securities and Exchanges Commission (SEC) failed to specifically clear xrp security status in its recent ICO token guideline. Notable crypto figures have slammed the SEC in recent days.